Whether it’s at a night at the cinema or a day out at the beach, there’s one unique smell that really gets the taste buds tingling and mouths watering the smell of freshly made popcorn. 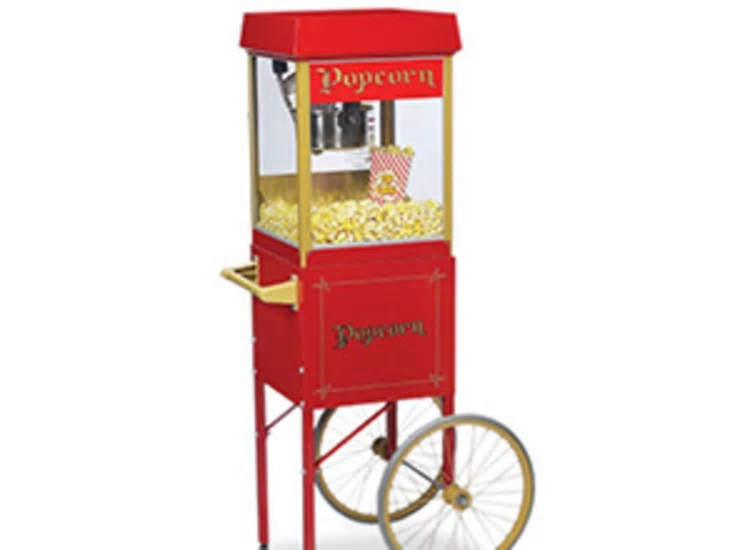 So why not hire one of our Popcorn machine to bring the scrumptious odour to your event! Placed on one our popcorn carts and using one of popcorn machine we could cook up fresh batches of sweet or salty popcorn in just a few minutes. Then our friendly staff will scoop up the popcorn into bags and serve to your guest so you can enjoy the event yourself stress free. Our popcorn machine are available for a 2 hrs service but we can serve for longer on request and an additional cost. Toms Lights Events © 2017. All Rights Reserved.